Casual gamer? Just want to fill in on a band? Looking for vocals, drums, bass. Send me a msg either here or gamertag: AloneDisciple. Won’t you join my Mii parade? Posted on August 22, 2008 by KaBlam! Herro? Any brody out there? Well, it took a little doing last night, but I finally connected my Wii Fit. The first complaint I have is the raiser pads for thick carpet. They DO NOT clip on easily, or stay in place once on. That is a huge and silly design flaw. The second issue I have is where the synch button is located (it’s uncer the battery cover underneath the unit). I think it should have been located at least on one of the sides for easier access. I’ll comment on the BMI, initial testing, and Wii age later. It’s not pretty. But this process gave me a chance to copy down my Wii console number to share with friends. I’d like YOU to join my Mii parade. Please register my number: 7295-9370-9434-0255 as a friend, if you feel so inclined, in your Wii Message Board and let’s get our Mii Parade’s going. I’m also adding my number to the left column here under my XBOX 360 gamer tag. Posted on August 21, 2008 by KaBlam! Finally, it’s here. Persistence paid off. 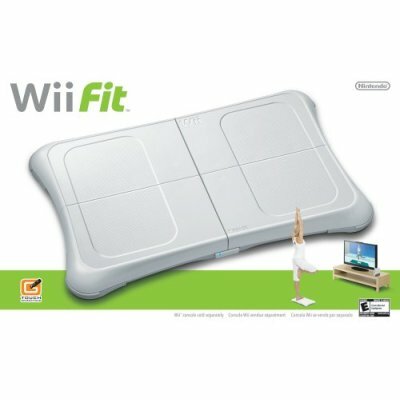 Today at about 10:07am PST, I was able to secure myself a Wii Fit for the non-blackmarketed, eBay speculatative price of $89.95. I was able to leave work for 10 minutes as the store is just down the street and they open at 10:00am. They receive shipments on Mondays and Thursdays and so after the last six weeks or checking, they had three of them and I got my grubby little hands on one of them. It’s actually kind of heavy in the box. Anyway, it’ll be a surprise to my wife that I got a hold of one today out of the blue, and hopefully by the weekend I can begin to devote 15-20 minutes a few times a week for some in-home exercise that will help compliment the Lindora diet I’m currently on (BTW: I’ve lost 4 lbs in the first two weeks), though I cheated today with a chicken burrito, chips & salsa and a single fish taco for lunch….too many carbs. Posted on August 7, 2008 by KaBlam! So I’m kinda excited that my OXM subscription kicked in yesterday and I recevied my 1st issue. It’s a pretty good deal to get the magazine along with the disc for $24.95 for the whole year as opposed to paying $9.99 an issue at the grocery store or bookstore. I’m happy to see some offical pictures of all the new Rock Band 2, Guitar Hero World Tour, and Konami’s Rock Revolution peripherals (well Konami only showed the drums kit, and it looked a little strange). The nice thing is that Konami stated that both RB and Gh’s guitar will be compatible with their game. I’m getting pretty psyched that these will start launching next month, and I’ll have a whole new bey of songs to play and download. Ion is introducing there own uber drum kit for the Rock Band series which just looks crazy mad. By itself, it’ll be $300, metal, and ships with 4 drum pads, 2 cymbals and kick peddle. For even another $50 you can buy yet a 3rd cymbal! Harmonix’s new Stratocaster looks pretty sweet, and they promise it will be much more sturdy than the original, meaning overdrive sensor and strum bar, plus it’s wireless. A fine addition to my colllection. However, RedOctane’s new axe for World Tour may be the one to get. Also wireless, it has an additional touch sensitive neck for hand sliding and an oversized ‘star power’ button (thank God!) so you won’t have to tilt your guitar to achieve star power. I played RB last night for a bit and tried multiplayer online play. I experimented with both ‘Tug of War’ and ‘Score Duel’ modes and had my as handed to me all four times, but it was fun. I have to get out of the competitve mindset and just enjoy it playing a song with someone else. The problem for me is that Tug of War is very unforgiving…miss one note and it’s very difficult to recover against the other player. This resulted in a True Skill point value of ‘1’ for me, even though on medium I was pulling perfect solos and completing like 97-98% of the song. Seems a bit harsh to ever recover and be motivated to continue playing…you find yourself praying the other guy misses one note as well just to give you a chance. I may need to buy a new HD soon with all the songs coming down the pipeling. My 20GB drive is already 75% full lest I remove some other games and demo’s. On the horizon for me: Force Unleashed, Rise of the Argonauts, GH WT, RB 2, Too Human, Fracture, GoW2, Lego Batman, CoD 5, Clone Wars (Wii) and a few others. Man, I don’t even have time now….or money. Been getting back into my PSP again too…playing Metal Gear Solid Ac!D and enjoying it. My coworker was showing me his new God of War PSP slim and gameplay and it looks pretty sweet as well. Wii: Okay, so my store didn’t get the Wii Fit today, but I also have an alert from Amazon.com sent to my phone. If any Fit’s become available, they send you a TXT message to whcih you simply reply ‘Buy’, and they send one to you based on your Amazon account. Well imagine my surprise when I got my alert today (WooHoo!!) at 10:17am saying they are available. I reply at 10:20am with my text. At 10:22am I receive a reply back saying they are now ‘unavailble’!!! DOH!! WTF? So between the time I received the alert and I responded (3 minutes!) they were already sold out again. What….did they only get 2 in stock? Ah well, there’s always next week. Wii Fit to be tied…. Posted on August 1, 2008 by KaBlam! Dangit, I was this close. I’ve been calling my secret store the last few days to see if they received a Wii Fit yet, and every day its been a no go so far. Of course. The one day I didn’t check is the day they received them. Doh! Posted on July 25, 2008 by KaBlam! Wow, I’ve had such a busy week this week with work, friends, and chores it almost seems impossible to get some free time to play any of my favorite games. When I was able to sneak a little time here and there, I look back and am surprised that I broke out some of my older games that I never finished. Sometimes it’s true that “everything old is new again”, and it was refreshing not to be tempted so bad to purchase yet another game when I have plenty of solid hitters that had been collecting dust. First up, Metal Gear Acid 2, for my PSP. It really was shocking that when I booted it up, I noticed my last save game file was just over a year old. Wow. A whole year since I played it last, but after a few practice rounds, I jumped right back in and on my way to moving the story along. Complete turn based, strategy card game I forgot how much I enjoyed. Over at XBox Live Arcade I downloaded two demo’s: Too Human (see earlier post this week on my thoughts) and Go Go Break Steady (music rythym game set in a break dance world). It’s animations were cute and its beats kinda cool, but after playing the demo for a while I won’t be unlocking the full game. I also noticed there has been an expansion released for Puzzle Quest. I’ll end up getting that later as I still have a way to go on the original, not to mention my wife is already addicted to the core game without getting the expansion. Back over at my Nintendo Wii, I’ve been unlucky in getting my hands on a Wii Fit. I have a good line on where to get one….a store of the beaten path that a coworker told me about where he walked in earlier this week and got their last one without even trying. Anyway they told me to call back Monday, so perhaps if I am extremely lucky I’ll have one soon and hopefully trim my figure a bit. (Note to self: I should play both boxing and tennis this weekend as my cardio exercise). 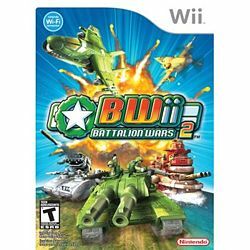 I also broke out Battalion Wars 2 and I really like that game. I finished about 30% of the game so far, and even on the easy levels, I can’t seem to get past a ‘C’ grade right on the missions right now. My technique is always great, usually 100% or just under….it’s the speed that hampers me. I can clear a level in five minutes, but apprantley, they would like to see me do it under four which can be a little tough for me. It reminds me of a real time and vamped up version of Advance Wars. It’s been quite a while since I played this last as well, clearly more than six months, and again I’m really looking forward to playing it this weekend. Same for WoW. My alliance Pally is now lvl 66, and I’d like to play a good dungeon this weekend and maybe level up to 67 in preparation for Lich King expansion. I also played about an hour last Sunday my lvl 46 undead Warlock in Hinterlands. I like that zone. One zone I am bored to tears with though is Astranaar. I have my lvl 30 Shaman and lvl 29 Priest stuck there now, grinding away for money to buy some better item so I can move beyond this infernal place. Lastly my best news of the week is bittersweet. I finally completed my first pass through of Mass Effect yesterday which is pretty monumental for me….to complete a single play through…and I loved every minute of the game. The last boss battle was much easier than I thought it was going to be, but the ending left me a little jaded. What? I can’t go back and tie up the few loose ends? Ahh man…. Plus I was so close to lvl 50 and the associated achievement unlock. I was literally under 200 XP away from lvl 50 and I also never got the ‘Paramour’ achievement either in which I feel a little cheated on. Overall a great game, though I’m a little dissapointed with the lack of DLC support that was promised for it. One ‘episode’ is a far cry on what was promised. Now, I may have to replay again on the next diffiuclty level and work on my sniper and shotgun achievements as well since I got assault rifle and pistol completed.